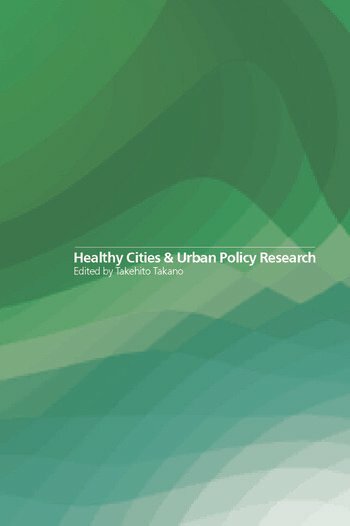 Healthy Cites and Urban Policy Research is a collection of papers by leading experts from academia or international organisations who have been involved in the Healthy Cities Movement. It is the first academic work to combine public health with urban planning. Contemporary issues from various perspectives are included which address evaluation, evidence-based practice, accountability, community participation and information technology. Preface 1. Development of "Healthy Cities" and Needs of Research 2. The Third Phase (1998-2002) of the Healthy Cities Project in Europe 3. Healthy Cities Project in the Western Pacific 4. Health and Sustainability Gains from Urban Regeneration and Development 5. Analysis of Health Determinants for Healthy Cities Programme in Europe 6. Indicators for Healthy Cities: Tools for Evidence-based Urban Policy Formation 7. The Effectiveness of Community-based Health Promotion in Healthy Cities Programme 8. Applicability of Information Technologies for Health 9. Research Responsibility and Accountability in Nurturing Healthy Cities 10. Examples of Research Activities for Healthy Cities 11. Baseline Data in ASEAN Member Countries 12. Country and City Reports at the International Conference for Healthy Cities and Urban Policy Research, 2000. Afterword.